Property / Street / Road: Bakewell Road? 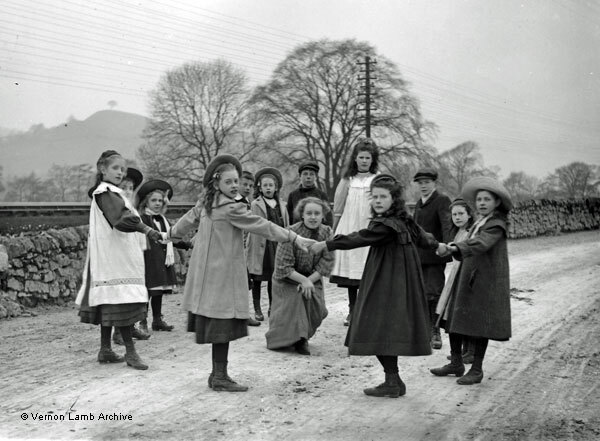 Description/Historical Information: Group of children, mostly girls, holding hands. Probably playing Ring a Ring o' Roses. One tree Hill at Oaker behind them.